2019 Stampin’ Up! Occasions and Sale-a-bration Catalog Product Share is now available for pre-order. The Designer Series Paper, Ribbons, and Embellishments are listed by name, and I have photos of all the products in the shares and how I package them up. Love my Holiday Catalog Share box. You do an awesome job! Just to let you know that I received my shares. Awesome! I love the way you package them. Neat and tidy. Just a quick note to let you know that I received the share. Love it! Thanks so much for packaging it so nicely. Been looking at my pretties like a miser! Must use the ribbons and cords! Just wanted to let you know I received the ribbon share the other day. Everything was fine. As a hobby demo, I usually don't invest in a lot of ribbons but the share gives me a chance to try some of the new styles. Thanks for doing this. Your service was fast and efficient. I appreciate it. Thanks again and have a wonderful summer. Have you ever been out to dinner with a friend and you can’t decide which dessert to get, so you order two different desserts then divide them between you and your friend and you also divide the cost?? This is the same thing. You get to enjoy a little bit of each of some amazing products for a portion of the price….and here’s the best part – I’m going to do all the work. How does the Product Share Work? You fill out the form at CraftyStampin.com letting me know you which shares you want. I send you an invoice to pay, you’ll have up to 48 hours to pay. You pay the invoice, via credit card. 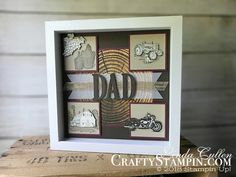 I order all the products from Stampin Up to be delivered to me. I cut or divide up the products. I mail the products to you via Priority Mail. ** Product shares cannot be used as your monthly club order. ** If you are local to Stow, MA and would like to pick up your shares, I’ll remove the shipping from your invoice. This is the “I want it all” bundle!! This is the full Designer Series Paper Share, Ribbon Share, Embellishment Share all rolled into one. I LOVE paper….I even love the smell of a new paper pack!!! How about you? This is the ultimate “get it all’ deal? You will get a (6″x6”) piece of each paper in the new 2019 Stampin Up Occasion Catalog PLUS the DSP in the Sale-a-bration Catalog. See the detailed list of what’s included. Each style of DSP will be packaged in individual clear sleeves labeled with there name, item number and coordinating Stampin Up colors. A ribbon is a perfect way to give your project that special finishing touch. 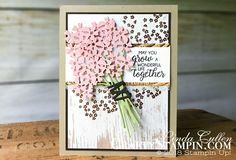 This share is for every ribbon in the Occasions Catalog PLUS the ribbon from the Sale-a-bration catalog. Each ribbon style is wrapped and placed in an individual bag clearly labeled with the style of ribbon and the Stampin’ Up! color. Photo of Ribbons packaged in share from the Holiday Catalog to show how they will be packaged. Embellishments add the final touch to a project. This share is for each new embellishment in the Occasions Catalog PLUS the Sale-a-bration Catalog. Each embellishment is placed in an individual bag clearly labeled with the name of the embellishment for easy organization. Photo of Embellishment shares packaged from the Holiday Catalog to show how they will be packaged. ** If you order multiple different shares after I mail them out, if I was able to fit them all in one Priority Mail envelopes/box, I’ll refund the difference for the actual shipping.